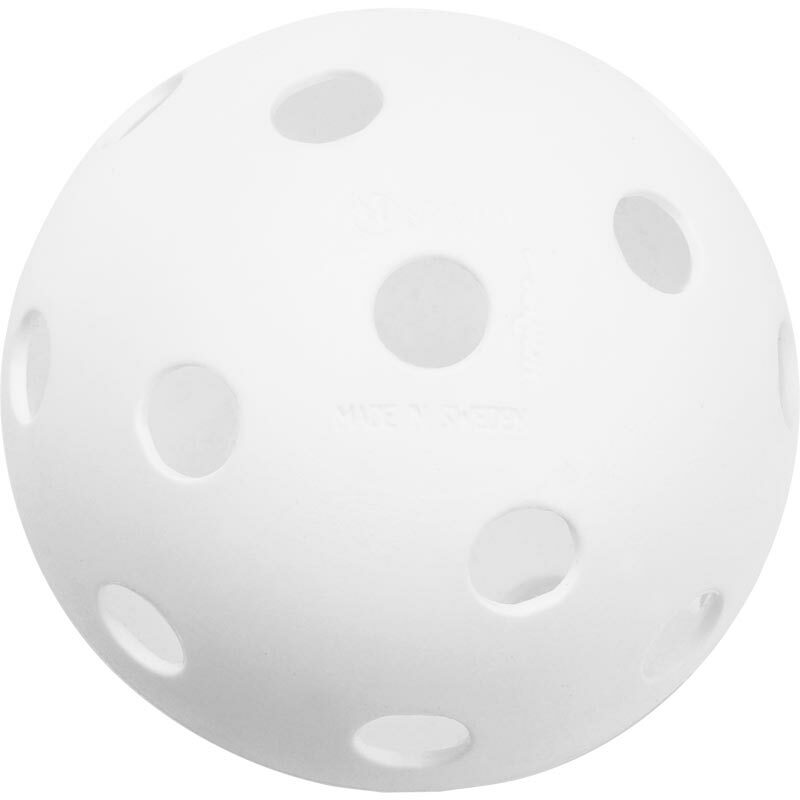 Unihoc Floorball Perforated Balls are 7cm diameter lightweight plastic balls, ideally suited to the indoor game of Floorball. These robust balls are hollow and perforated with holes that reduce air resistance, as well as friction on the floor. Floorballs are specifically designed for use with floorball sticks and are lightweight to reduce the risk of injury. The hollow balls are made from the thin hard plastic and weighs around 20 grams. The surface has 26 holes, each of which measures 11mm. Very fast delivery. Great product at great price. Would buy again. My order was processed and delivered on time. The product was exactly what I was expecting. Very pleased. I'm not sure if they're as good quality as they used to be in the past. We get through them quickly so nothing to compare against. Still they're better than the ones that come with Unihoc sets which have a much more plasticky feel and don't last as long. I ordered white and orange balls this time as I think we had an issue with a black and white ball splitting one time. In conclusion - decent balls, won't hold up too long to be stepped on, there's not much other choice for balls as far as I can see. Good service, prompt delivery and the balls are perfect for our weekly unihoc night. Would definitely recommend these to anyone.